God of War's New Game+ mode will release on August 20 in a free update, giving players yet another reason to hack and slash as their favourite Greek deity. Developer Sony Santa Monica detailed its features today, noting that the feature would go live as a celebration of the game's four month anniversary. The mode will allow players to keep their armour, enchantments, abilities and more from a previous playthrough. At the same time, New Game+ won't be locked to any previous difficulty settings; it can be as easy or hard as players choose. 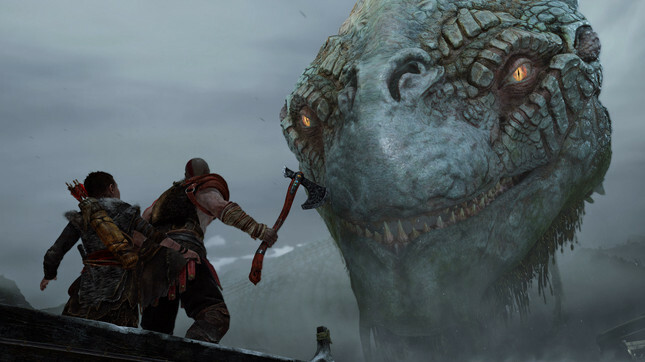 In saying this, the August 20 update will offer higher level enemies for those wanting a new challenge, with Sony Santa Monica hinting at new abilities for Kratos' foes. In addition, players can craft and upgrade their equipment to a new rarity level through a new resource exclusive to new game+; Skap Slag. Another feature of New Game+ is the ability to skip cut scenes – a much-requested option from the game's fan base. The only condition is that players complete the game first. You can buy God of War on PlayStation 4 now at Mighty Ape.